Past my skill level yet for guitar, but I can see from the video and the music sheet that I will enjoy playing this quiet and beautiful composition in future. 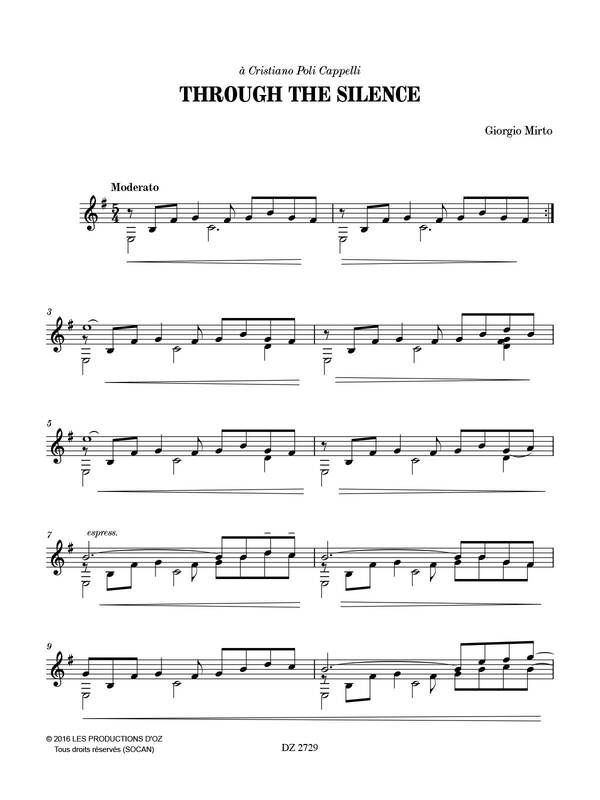 Nice printing and editing--the music is easy to read on the page. I look forward to more compositions from Mirto. 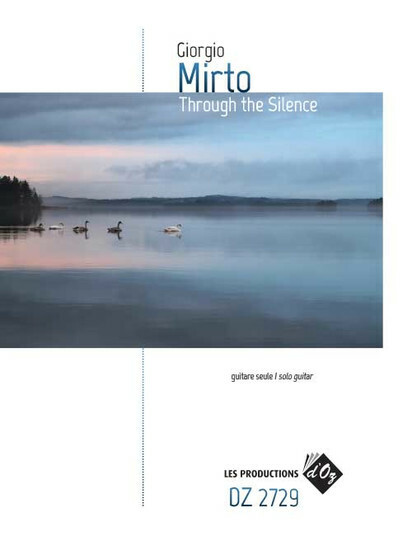 I’ve been working on Mirto’s "Through the Silence” for about a week. I’m finding it to be a very satisfying piece - not real difficult technically, yet it offers good challenges for me with expressiveness, focusing on crescendos/descrendos, etc. I consider myself an advanced intermediate player and feel that this piece is great for my level.